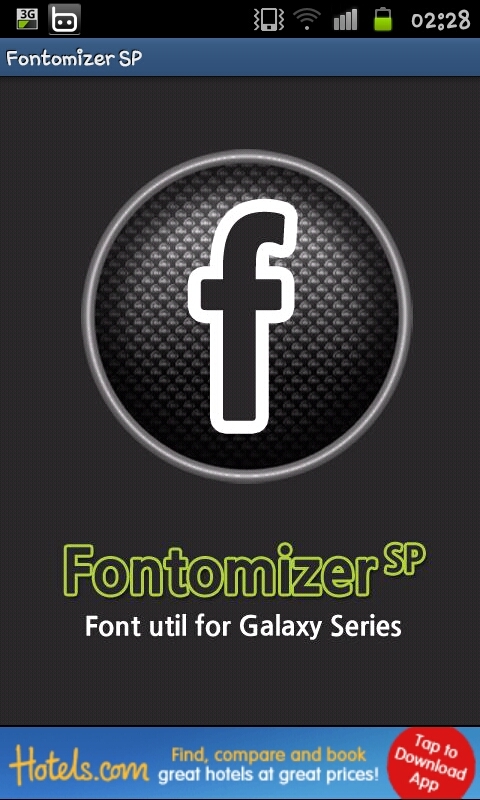 In the past we've looked at changing the font on your Samsung Galaxy S2 but by default there is only 3 fonts, now we are going to show you how to add a whole lot more! Before you begin going into your settings screen and click on "Applications" and tick the box next to "Unknown sources". 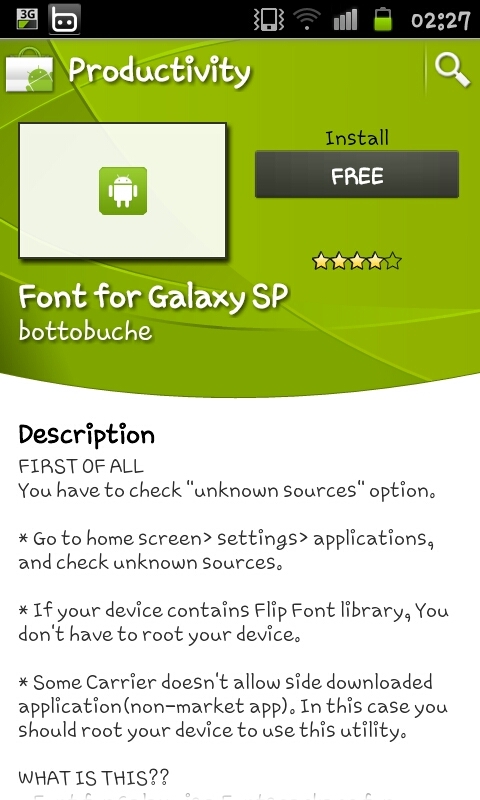 After allowing "Unknown sources" with you will need to download "Font for Galaxy SP" from the market, this is a free app and can be used for any Samsung Galaxy phone so if you've stumbled here and are using a different Samsung Galaxy model you can follow the guide anyway! When you open the app you will see something like this, click on the F in the middle to open a list of fonts that the app has. Whilst the list isn't exhaustive and it does miss a lot of well known fonts it does have a really decent amount. When you select one one you can see how it looks and decide before downloading it whether or not you like it. When you find one you like and want simply click on it and the phone will automatically download it so pull down the notification bar (like in the picture to the left) and click on the newly downloaded font to install it. After installing the font you need to follow the guide for changing font so go into your "Settings" and open up "Display" and then "Screen display" before opening the "Font style" option which should now list your new fonts (like the image to the right). 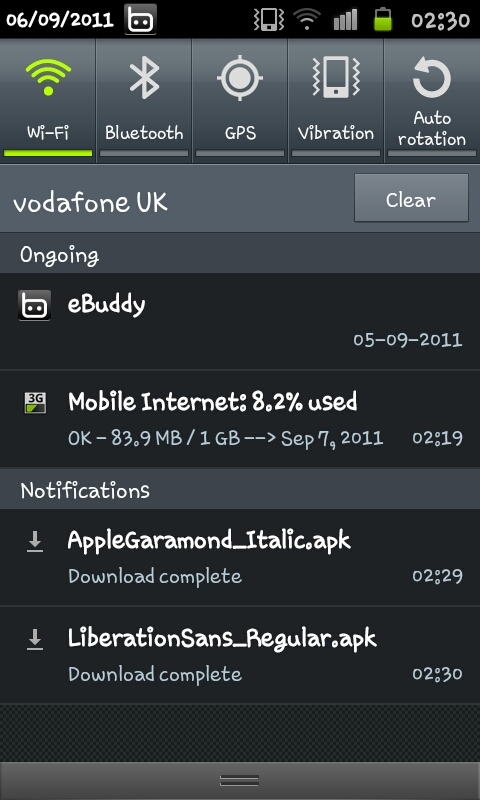 So whether you want a bold font, a small font, an italic font or something else, you'll likely find one there somewhere. 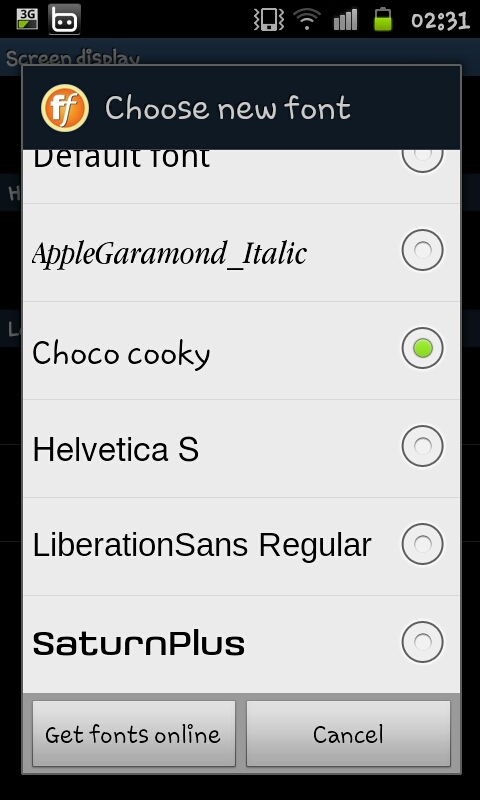 Just note you will need to add every font individually (which is a bit time consuming if you want to add a lot of fonts) and the app doesn't have all the fonts you may be used to using (for example no "Arial" and no "Times New Roman") but there is a lot of choices open to you.